Little Steps. 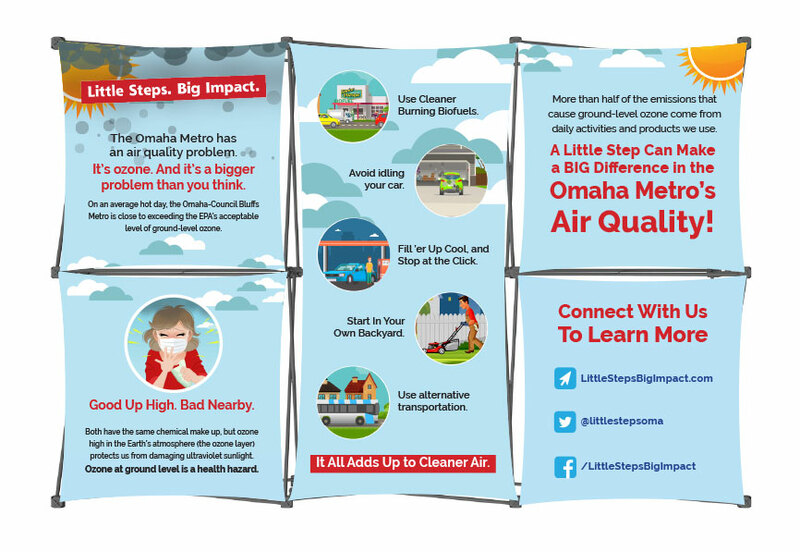 Big Impact is a public awareness campaign aimed at increasing public awareness about the problems created by ground-level ozone, changing Omaha area residents’ habits by encouraging the use of active transportation as a way to reduce ground-level ozone, and developing other small habit changes that contribute to better air quality. 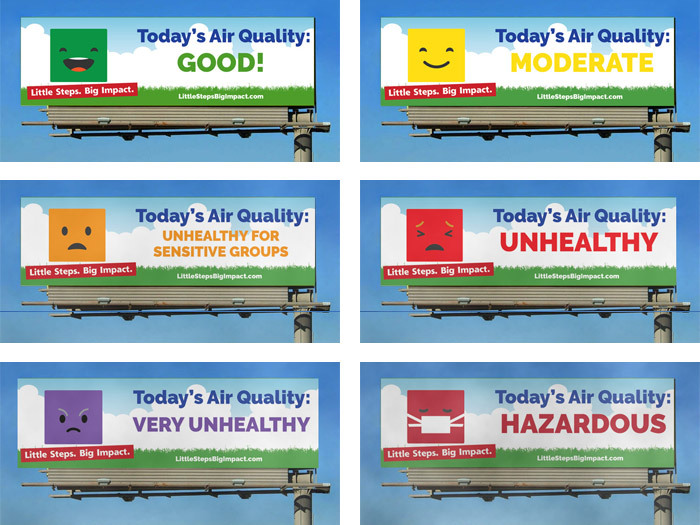 The EPA has six color-coded categories for air quality, and we took it one step further by developing a custom emoji set. 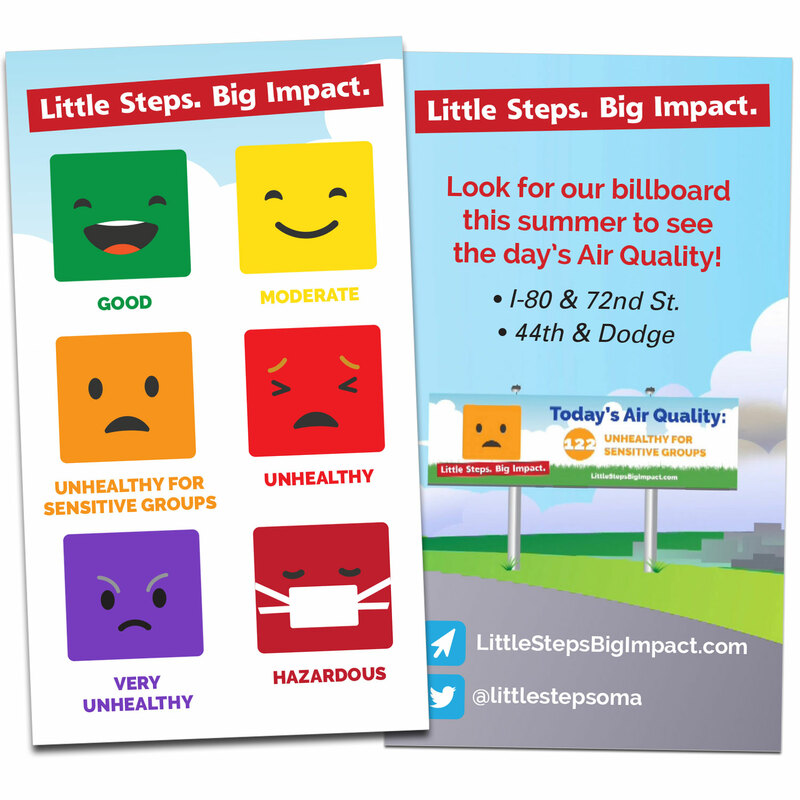 Using the EPA’s colors, we illustrated faces ranging from happy for “Good” air quality to a frown for “Very Hazardous”, and introduced them on a series of marketing materials. 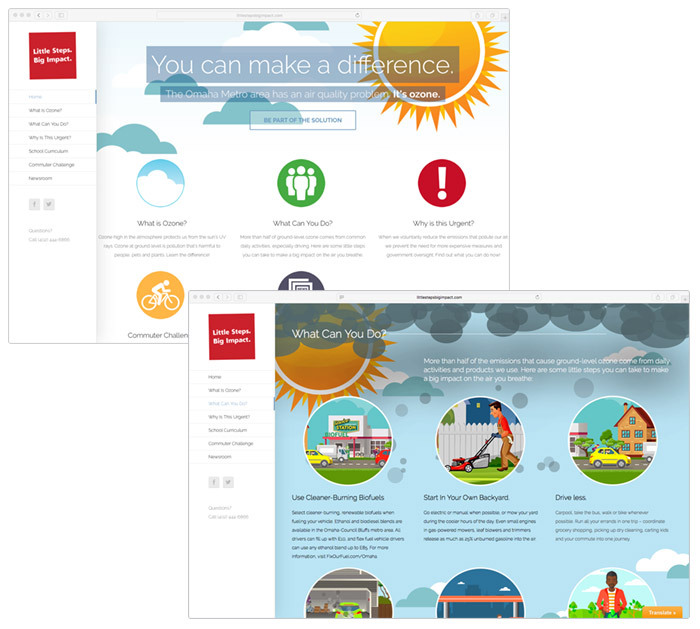 Digital billboards showing the current Air Quality Index, by linking directly to data from AirNow.gov and using the custom emoji set. Hooray! You made it to the bottom of the page!